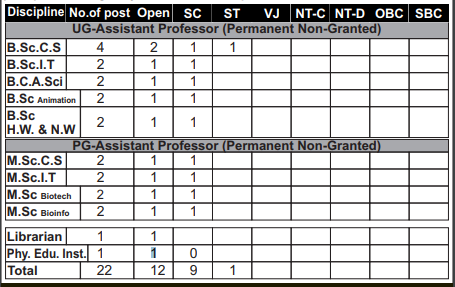 Dr.G.Y.Pathrikar College of Computer Science and Information Technology, Aurangabad has advertised in LOKMAT newspaper for recruitment of Assistant Professor Plus Non-Faculty jobs vacancies. Interested and eligible job aspirants are requested to apply within 08 days from 07th April 2018. Check out further more details below. About College: MAHATMA GANDHI MISSION (MGM) was established on 20 December 1982 with a futuristic vision to provide qualitative education by applying innovative and dynamic pedagogical techniques. Since inception, the Trust has focused on providing health care services in urban as well as rural areas and providing education ranging from basic school education to higher education in various streams. MGM was established in Nanded (Maharashtra) and in course of time, it extended its services to Aurangabad, NaviMumbai, Parbhani and Noida. How to Apply: Interested and eligible persons are required to send their application giving full details along with attested copies of degree / diploma certificates, experience certificate and recent PP size photo to the postal address provided below.